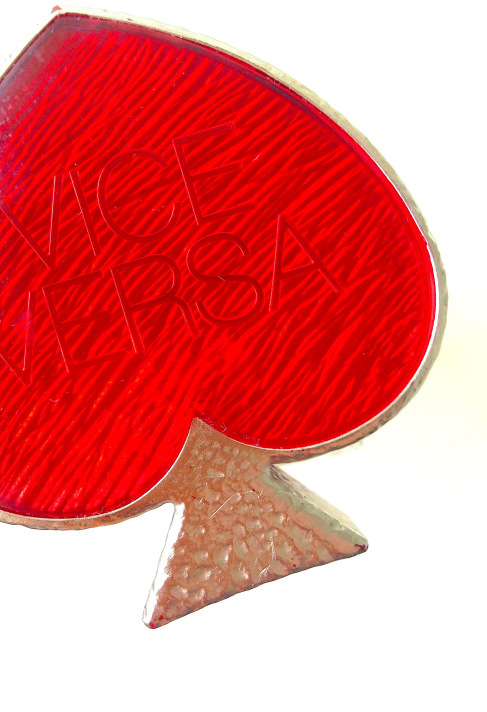 Vice Versa, a limited edition released by Yves Saint Laurent in 1999, was a fragrance that was said to play on two sets of contradictions: a heads or tails role-reversing of sweet notes and savoury; and of simplicity vs sophistication. “It’s not very sophisticated, though, is it?” were in fact Duncan’s exact words the other night when I asked him to smell this perfume on me, putting paid to the idea that this scent is in any way sophistiqué (and I agree). He did, however say that it was “very nice”, and this is key: Vice Versa is in fact so easy, and pleasing, that I have been wearing it a lot over the last few days, loving every minute of it. Sometimes I just need something easy and upholding, an unmoody background into which I can just nuzzle.